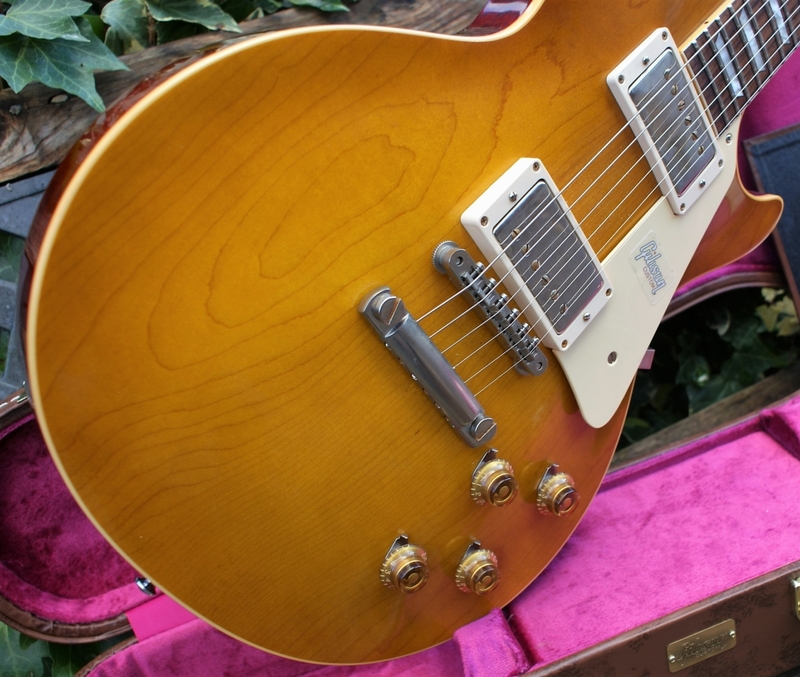 Up for grabs here at RGG, is this stunningly lovely 2017 Gibson Custom Shop 1958 (R8) Les Paul Standard VOS Dirty Lemon. 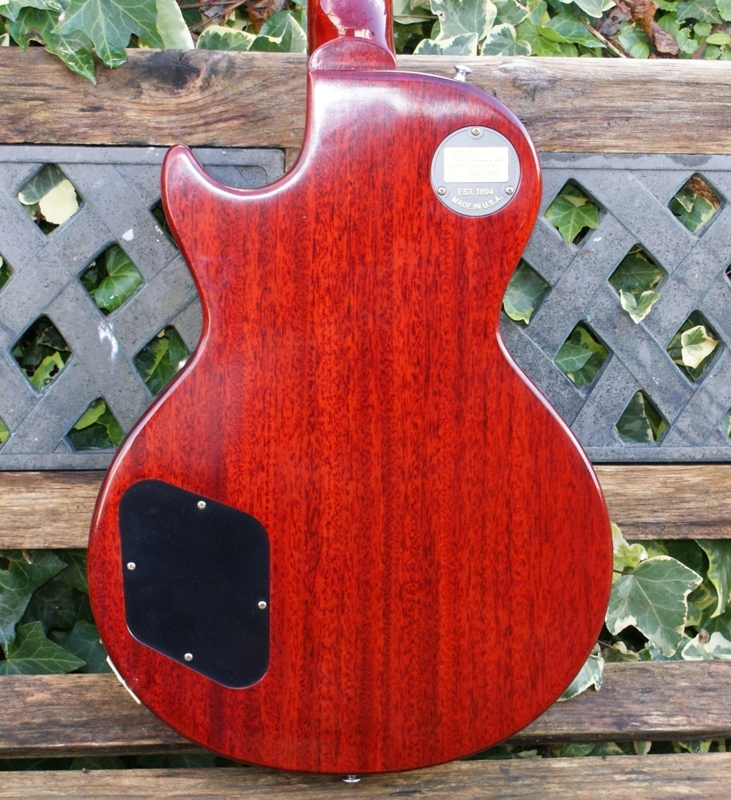 This guitar is pretty much unplayed & shows no signs of wear. 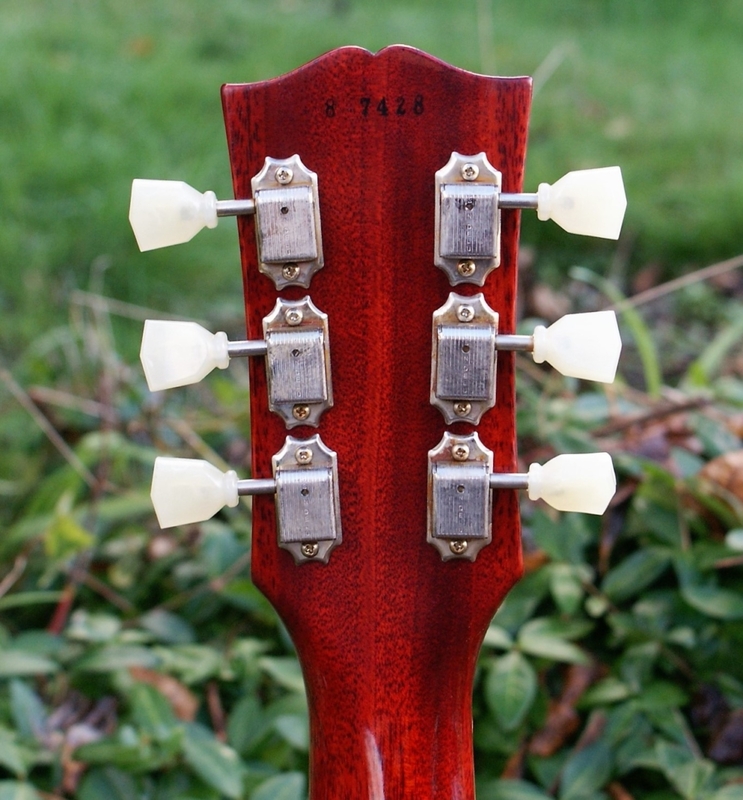 Although an R8, the neck, is a slightly slimmer feel than many other 58’s, it has more of an R9 feel & is ultra comfy. 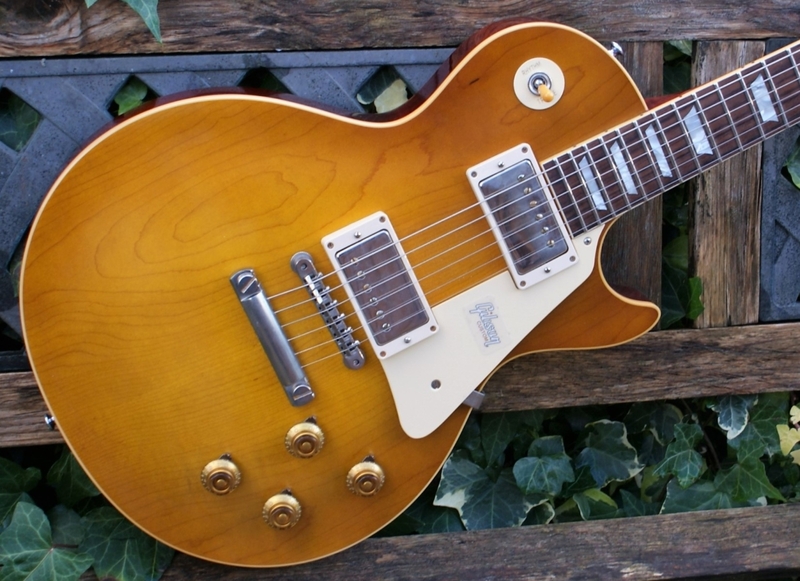 Basically, with this Gibson Custom Shop ’58 Les Paul Standard, you get a guitar with the feel of a modern Les Paul Standard but with a more traditional Custom Shop build quality. She sleeps in her Lifton style case & has all tags/candy included. With the traditional Mahogany body, this Les Paul benefits from a crisp Plain Maple top for the ultimate tonewood partnership. Rich and super resonant it offers premium tone and timeless aesthetics. The VOS Dirty Lemon finish offers a real premium finish that allows the wood to breathe and the natural tone to sing through. 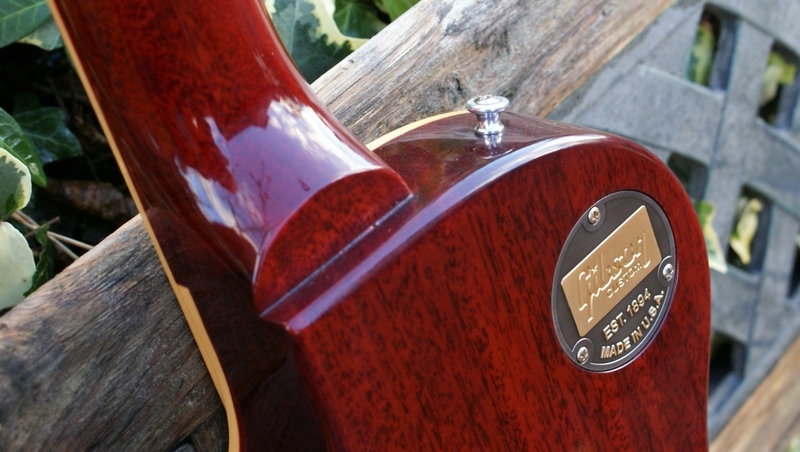 The VOS finish gives the appearance of a well-cared for guitar, no ageing here just some mild patina and hardware fade. 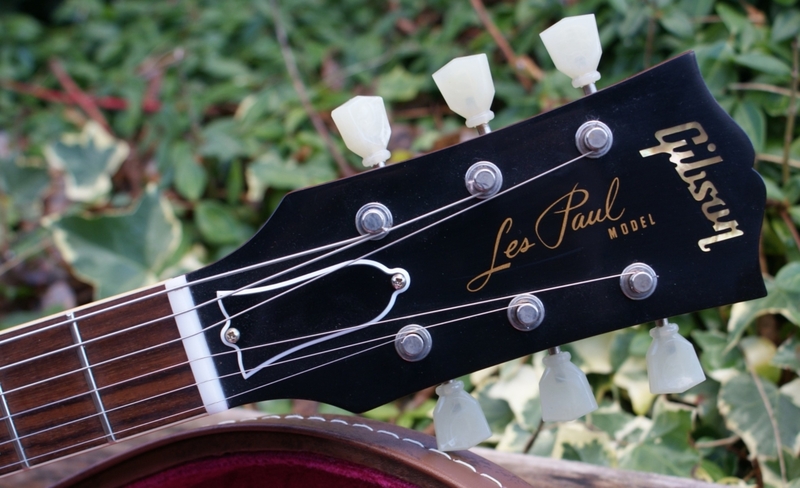 With the same hide glue process and plastics as a True Historic, this Les Paul is a real vintage tone machine. 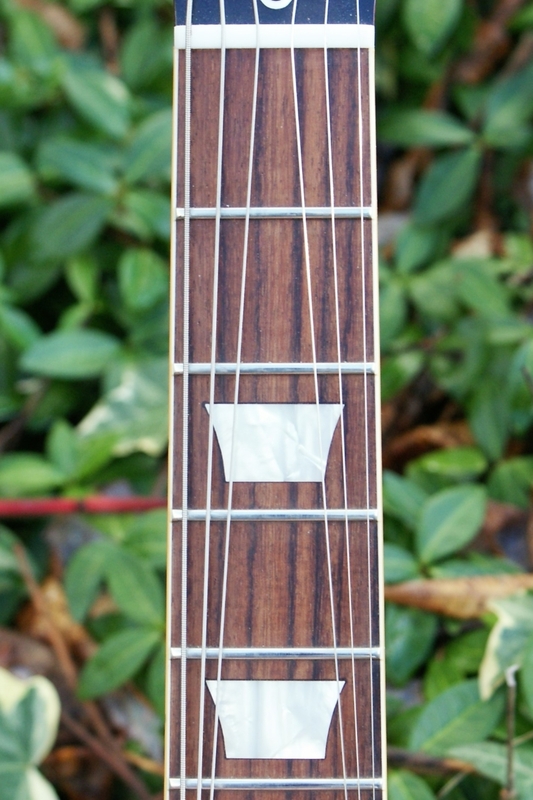 The Mahogany neck is topped with a lush Rosewood fingerboard, with classic Gibson Cellulose Trapezoid inlays this guitar looks every bit the real deal. 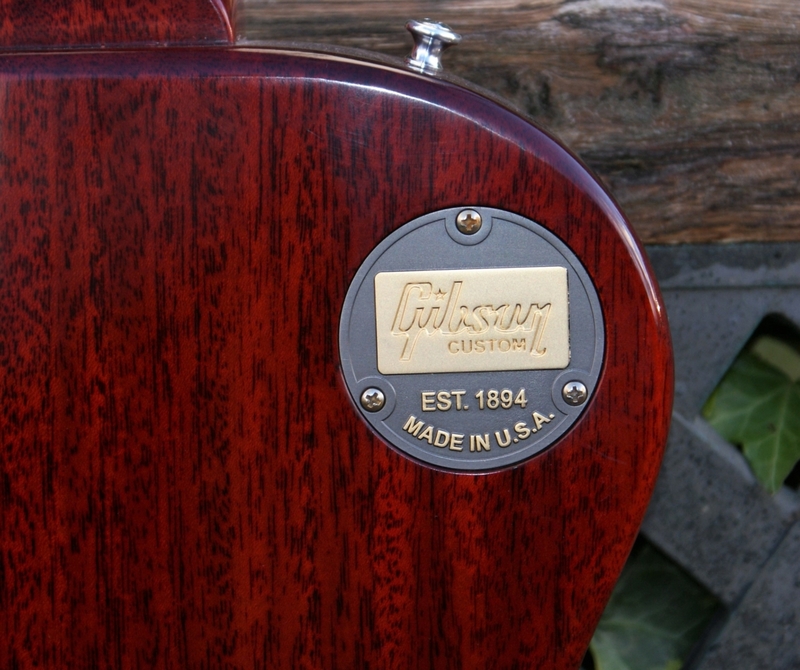 With a ’59 neck shape it’s comfortable and perfectly balanced, and is the first time Gibson have utilised the ’59 profile on a ’58. 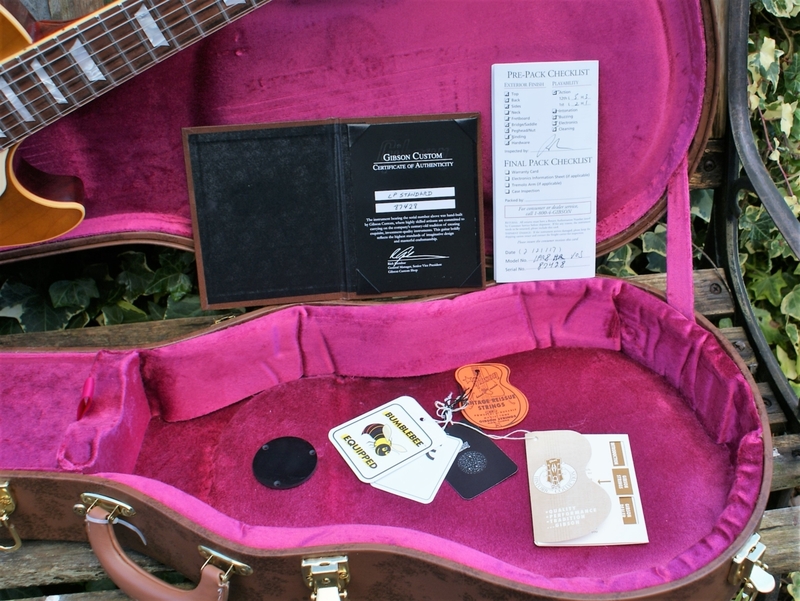 The defining feature of the Gibson Custom 1958 Les Paul is the custom wound Custom Bucker pickups. 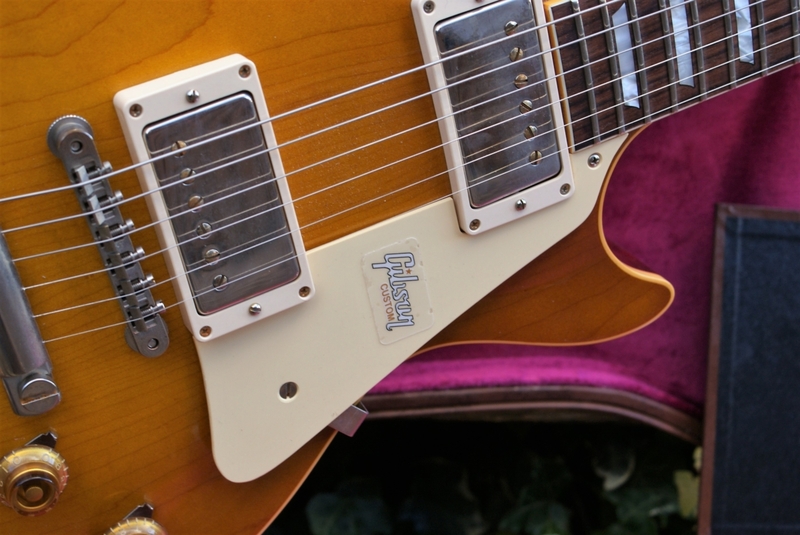 According to Gibson these are the most historically accurate PAF clone on the market, with an ultra-rich harmonic quality, it’s as close as you can get to the classic Les Paul tone. The Gibson Les Paul is one of the most iconic guitars ever put into production, with such a rich history and timeless appeal, the bar has been set pretty high. 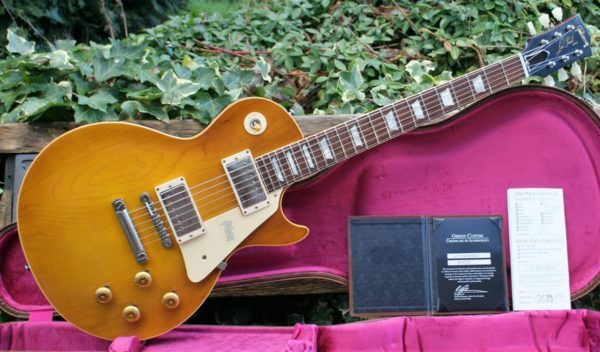 Gibson Custom 1958 Les Paul Standard VOS is a guitar that builds on over 60 years of innovation and development and pushes ever further forward. In summary, she is one lovely & playable lemon topped lady, with her Lifton style case & COA, she’s perfect for collectors and player alike. 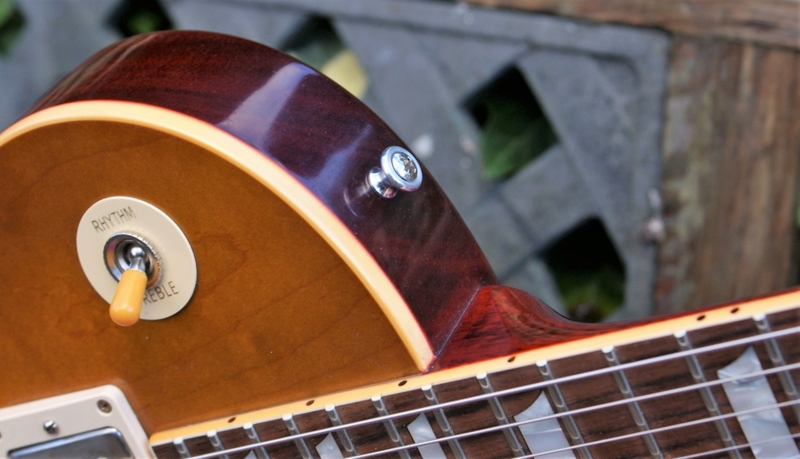 This Gibson Custom Shop Les Paul is testament to the timeless design crafted by Les Paul all those years ago. Payment can be done via PayPal, bank transfer, cheque or cash on collection! Very important: If paying by PayPal, please note that we will only ship to confirmed Paypal addresses! Please double check your address is confirmed with Paypal! Feel free to drop us an email for our bank details for SWIFT/BACS transfers and for any international shipping costs. If paying by cheque, or collecting in person, please contact us on 07932 074096 to arrange. 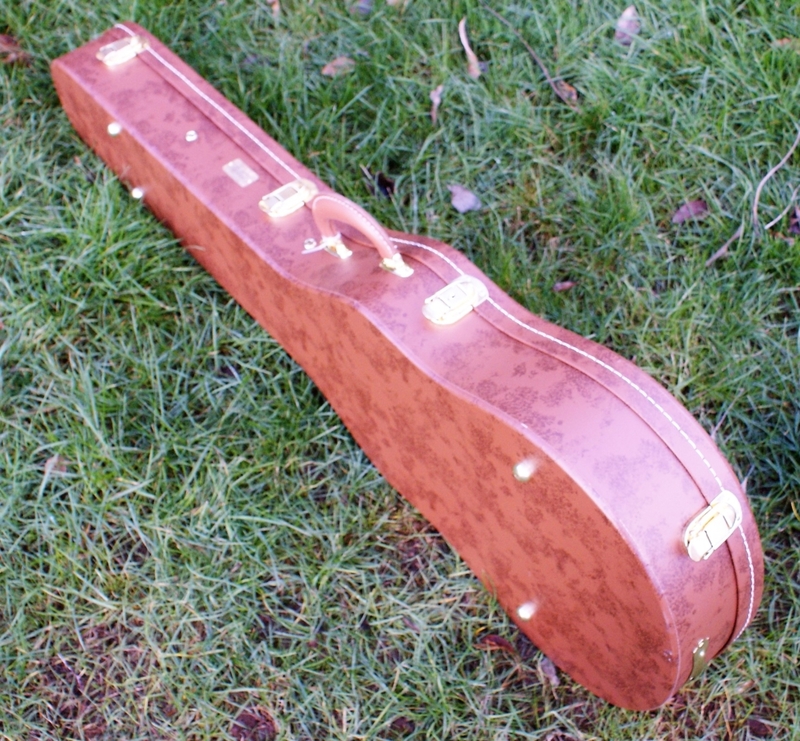 Our shipping policy is simple: We ship Guitars, Amps and Accessories to the UK, Europe & ROW. We’ve been shipping items to the UK and abroad for many years without any issues, as we always use the best and most reliable shipping companies. 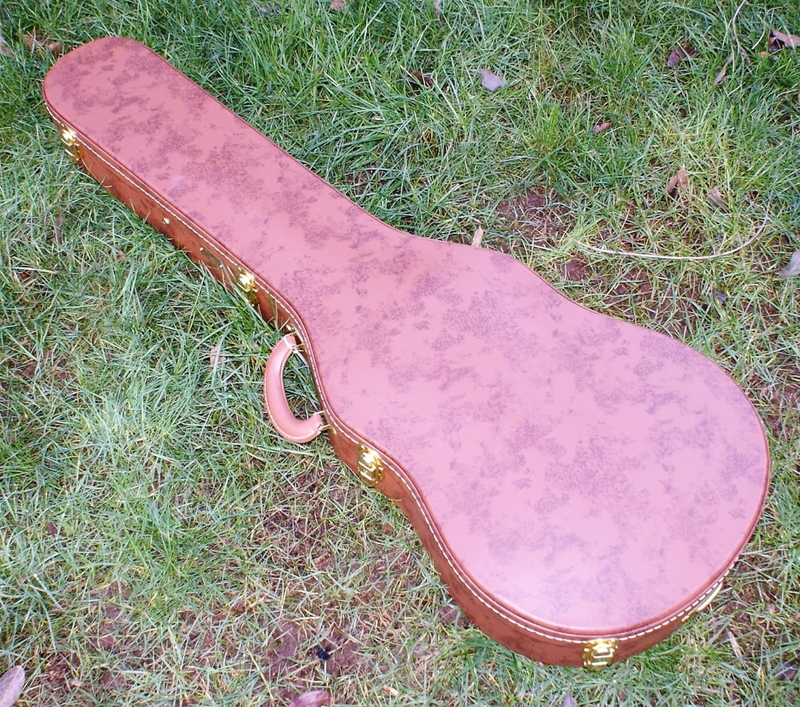 All guitars and amps will be shipped insured and tracked. So you can check your shipping status anytime. We always package them to the highest possible standard. Note: All amps are preferably UK shipping or collection only. We rarely ship amps internationally, due to potential breakage, unless this is agreed separately. If you are outside Europe and are interested in any of our guitars or amps please contact us for a special shipping quote. We operate a 48hr approval period for on-line mail order purchases only. Customers who buy goods in the RGG showroom can fully evaluate them prior to making the payment and as such do not have this return and refund option available to them. If you want to return an item please make contact for a returns authorisation. You have 2 days to try the instrument with a full refund minus our shipping costs (including our cost of free shipping if applicable). It is the purchaser’s responsibility to return any unwanted product promptly to the company in the condition they were received, using the original packaging and with a copy of the sales receipt. (We recommend you insure the item in transit). The item must be shipped back via a service comparable with which it was delivered, immediately upon return authorization. Any items returned after the 48hr agreed approval period, and not exceeding more than two weeks, are subject to a 10% re-stocking fee. PayPal, Credit/Debit card refunds will be processed immediately and normally take 3-5 working days to show on the customer’s account. Bank transfer and cash refunds will normally be refunded by cheque.